Intelligent Flap Barrier is a brand-new product of our company. Flap barrier, as the upgraded version of the Tripod Turnstile and Swing Barrier, is a hi-tech product for pedestrian Access Control. 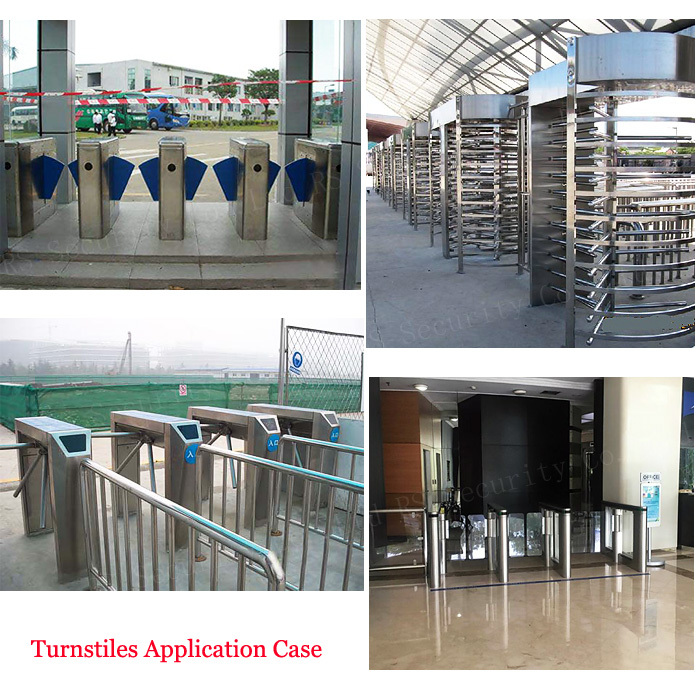 Turnstile flap barrier has features of precise craftsmanship, comprehensive functions and high technology. It has application in high class communities, intelligent buildings, hotels, subway stations and other high level venues. 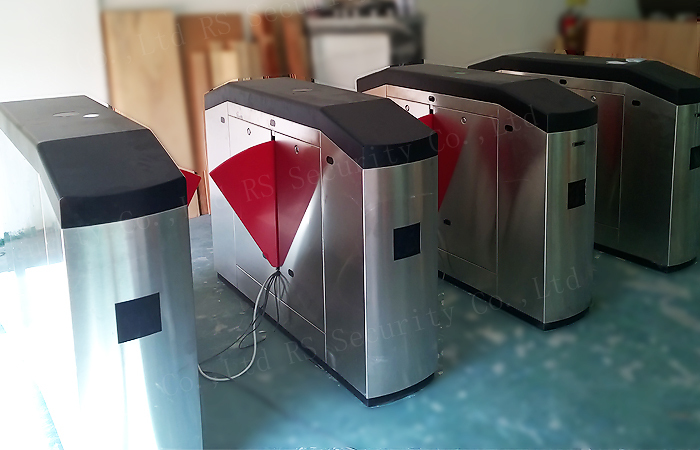 Optical Turnstile flap barrier is the combination of machinery, electronic, CPU control and variety of personal authentication identification technology. IC card, ID card, code bar, and fingerprint identification unit are compatible with the flap barrier. Choosing different identification equipment and applying reliable security protection devices, alarm devices, direction indicator to realize the intelligent management of access control is comply with the fire safety requirements. Flap Barrier Speed Gate motor can be classified into single motor and double motors. The single one is used for single lane and the double one is used for multi-lanes. 6. With sound and light alarms for below abnormal situations: Anti-tailing, anti-intruding, anti-reverse- passage. 10. Very easy to integrate the readers and writers of ID, IC, RFID, Fingerprint, barcode, card collectors, cellphone 2D codes, facial recognition instrument, etc. 1. Passage direction: the free setting of uni-direction or bi-direction to control access, and uni-directional free passage, bi-directional free passage or uni-directional card swiping passage or bi-directional card swiping passage are allowed. 2. Automatic reset:if the pedestrian fails to pass through within the system preset period after swiping the card and opening the turnstile, the system will cancel the passage permissions (adjustable resetting time) and close the turnstile automatically. 3. Memory function:continuous swiping card allows multiple persons to pass, and this is suitable for special occasions. 4. Equipment compatibility:standard input/output interfaces are provided for the connection with various identification system devices. 5. Remote control:it enables remote control and management directly by supervisory computer via equipment serial ports, and is able to detect equipment running state and modify operating parameters in real time. 6. Passage indication:it is equipped with channel normally on LED indicator and real-time passage LED lamp indication. 7. Illegal passage: it implements the standard passage mode of one card for one person to prevent intrusion and trailing, and the turnstile will close and give alarms in case of any illegal passages. 8. 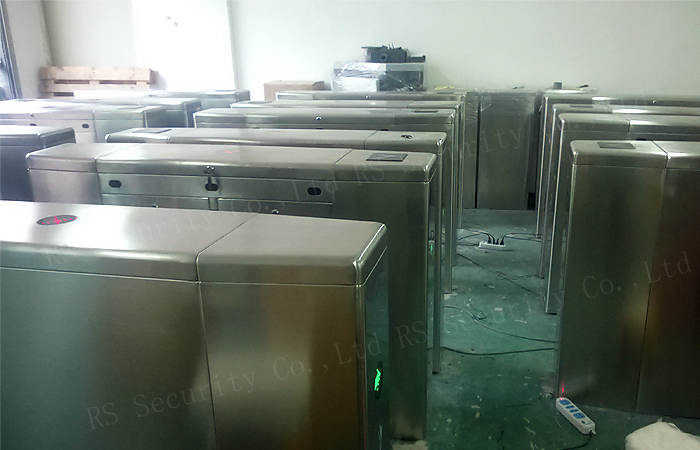 Passage under power failure: in case of utility failure, the equipment will automatically open the turnstile to prevent channel blockage and will automatically reset after energizing. Looking for ideal Security Flap Barrier Manufacturer & supplier ? We have a wide selection at great prices to help you get creative. All the Security Flap Barriers are quality guaranteed. 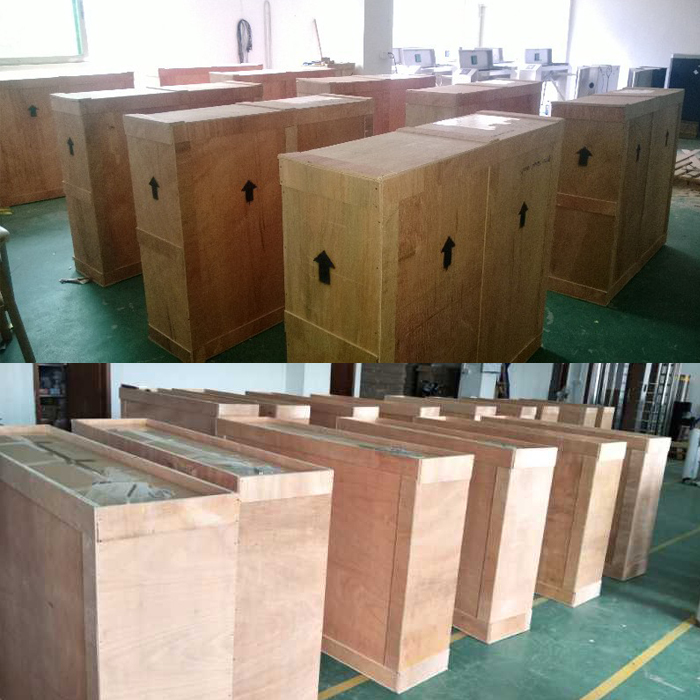 We are China Origin Factory of Security Flap Barrier Gate. If you have any question, please feel free to contact us.